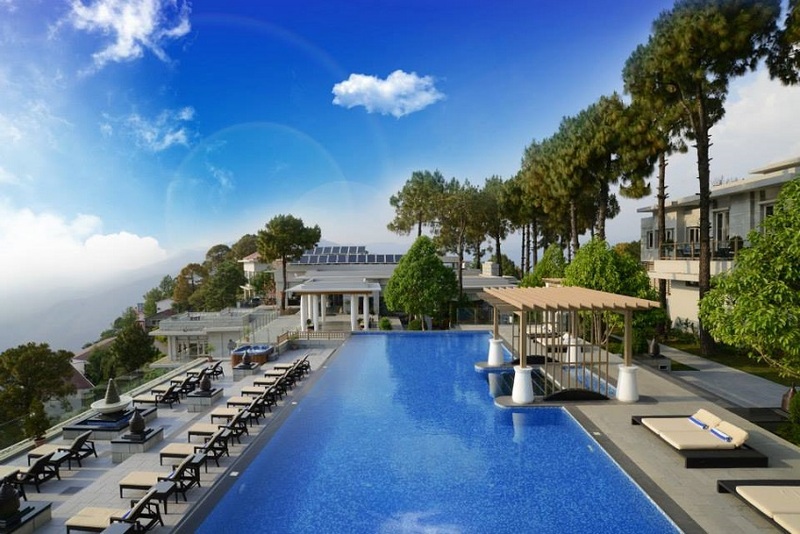 The dreadful summer loo is upon us and what better way to beat the heat than whisking off your paramour for a romantic weekend getaway at a luxury spa resort surrounded by mountains in the Shivalik range of the Himalayas – the Moksha Spa Resort. Take the 15-minute mini cable car ride from the Parwanoo stop or drive all the way up to the resort which given the rocky roads is an adventure in itself. Either way, you and your partner will be pumping with adrenaline by the time you reach the resort. Surprise your BAE by booking yourselves to that amazzziing package: Choose from the Spa Retreat, Recreational Retreat, Leisure Retreat, Business Retreat or the Moksha Special Retreat packages. These packages offer the perfect mix of recreational activities, spa services and romance. Click here to know more details about these packages. 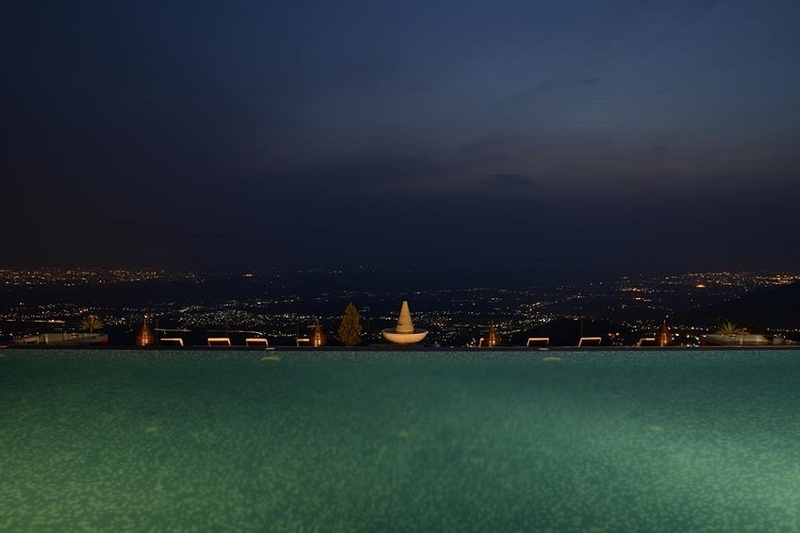 Imagine, a dip in the glorious infinity pool overlooking the beautiful city of Chandigarh with your SO… aah, life doesn’t get better than this!! This place has been touted as one of the most romantic places in India for a reason. Achieve Nirvana and reconnect with your better half: With umpteen facilities to choose from at this Ayurvedic wellness spa; Aromatherapy massages, Jacuzzi, Turkish hammams, Yoga sessions to name a few, achieve Nirvana and rejuvenate yourself. Don’t miss out on this opportunity to reconnect with your love as you are away from the hustle-bustle of the city and have all the time in the world. The infinity pool is the reason this place has been touted as one of the most romantic places in India. So be swift and make your reservations here. You can thank us later! Cable car timings – 10AM to 6PM. They are only 2 in number which might require you to wait a lot in case of a rush. The staff is extremely cooperative and goes that extra mile. 24X7 eco-friendly motor cars with drivers available for you to move around the resort. You can gift a stay to a friend or newlyweds with a time window of 6-months to avail. Visit http://www.mokshaspa.com/ for more details.